Spring and summer are almost behind us, but the adventures aren’t stopping! And because you’re a Rev3 Adventure friend and we are Adventure Enablers, you get a special discount. Use code ADVENTUREALUM for 10% off any entry (except for USARA Nationals). This Sunday join us for our first-ever 5K or 10K trail run and/or 1.5-, 2-, or 2.5-hour MTB race with a wine tasting (included with registration) afterward! 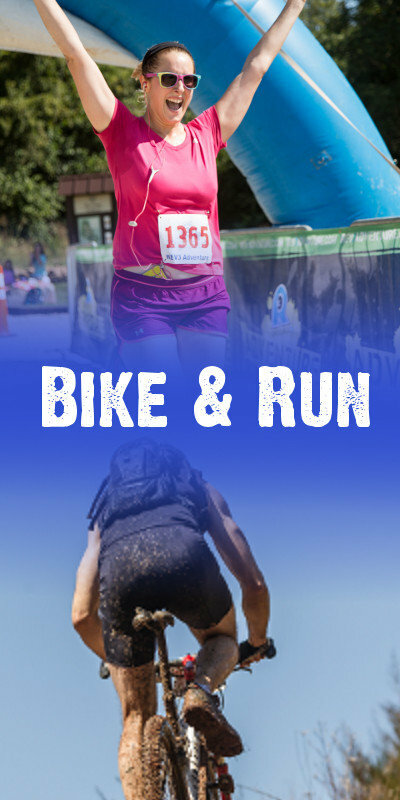 Mix it up at our inaugural 5K, 10K, or half-marathon or a total endurance (3- or 6-hour) mountain bike race, similar to our Fall Foliage and Spring Thaw events. Tackle our 2nd annual 10K or half during one of the best times of the year–leaf peeper season! Enjoy the Festival of Leaves on Main Street in Front Royal on Saturday, then join us for this scenic 5K on Sunday. There will be pie! Up for an off-road scavenger hunt? Join us at this beginner adventure race for first-timers, families, and anyone who wants to try something new. This year Rev3 Adventure is the host of the USARA Adventure Race National Championship in Columbia County, GA! Teams of 3 compete in USARA regional qualifying events across the U.S. for a chance to battle it out for the title of USARA Adventure Race National Champion. You’ve found the perfect race for beginner adventure racers of all ages! Get your team together and join us in beautiful Columbia County, GA.
Be ready to paddle on the lake, mountain bike on some sweet trails and fire roads, and trek through gorgeous pine forests using basic navigation skills on some of the best trails in Georgia. Choose a 5K or 1 mile (9/10) or Half or 10K (9/11) with a day or weekend park ticket to Carowinds included with registration! Park tickets are included with registration, so you’ll be smilin’ in Kings Island this fall at the Run & Ride Race Series 5K Glow Run on Friday night or Sunday’s half or 10K! 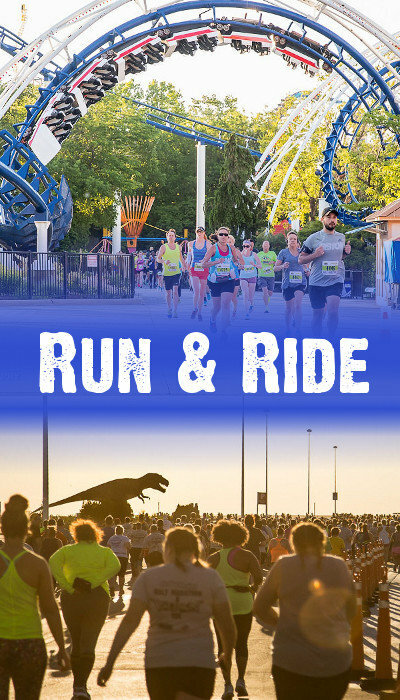 Grab your kids, your friends, your neighbors, your team and light up Cedar Point at this evening 5K or 1-mile fun run…and amusement park tickets for the weekend are included with race registration! 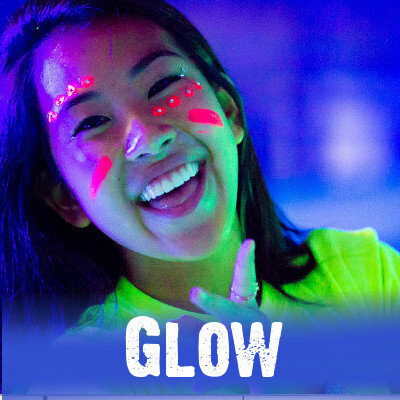 This Glow 5K and 1-mile fun run will have you lighting up Herndon, VA! The run and the fun begin at dusk. We’ve just finished up year 4 of the Cameco Cowboy Tough, which has world-class expedition adventure racers navigating their way across Wyoming via foot, mountain bike, and canoe. In conjunction with the State of Wyoming and with the generous support of Cameco Resources, thirty-six teams (114 participants) competed July 14-17, 2016, with Team Adventure Medical Kits taking the first place spot on the podium. Click here for a recap from ARWS. The Cameco Cowboy Tough is part of the AR World Series (arworldseries.com) and a qualifier for the AR World Championships (ARWC). The top teams at each ARWS qualifier earn a position at the annual pinnacle of the sport, the ARWC, held in November 2016 in Australia. In August 2017, Wyoming and Rev3 Adventure’s Cameco Cowboy Tough will serve as the hosts, bringing an ARWC to the United States for the first time ever. The ARWC version of the Cameco Cowboy Tough will stretch to six days and will bring the best adventure racers in the world to Wyoming for an in-depth, self-guided tour of its rugged and unique beauty. Check out the press release here.